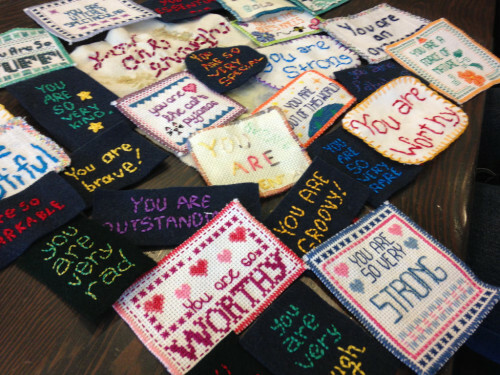 The Vancouver Edition of the You Are So Very Beautiful Project took place on Sunday, February 7, and it went fantastically. It was a small gathering, but I know that the few people who joined me were really receptive. I feel this small impact has the potential to ripple outward. On the Friday before (Feb.5), Betsy Greer and I were on a Vancouver radio station to talk about the project, and as nervous as I was, I think it went really well. You can listen online to the recording Betsy and me on Roundhouse Radio. I got some lovely photos of the gathering on Sunday, and I took photos as I released affirmations around the neighbourhood. 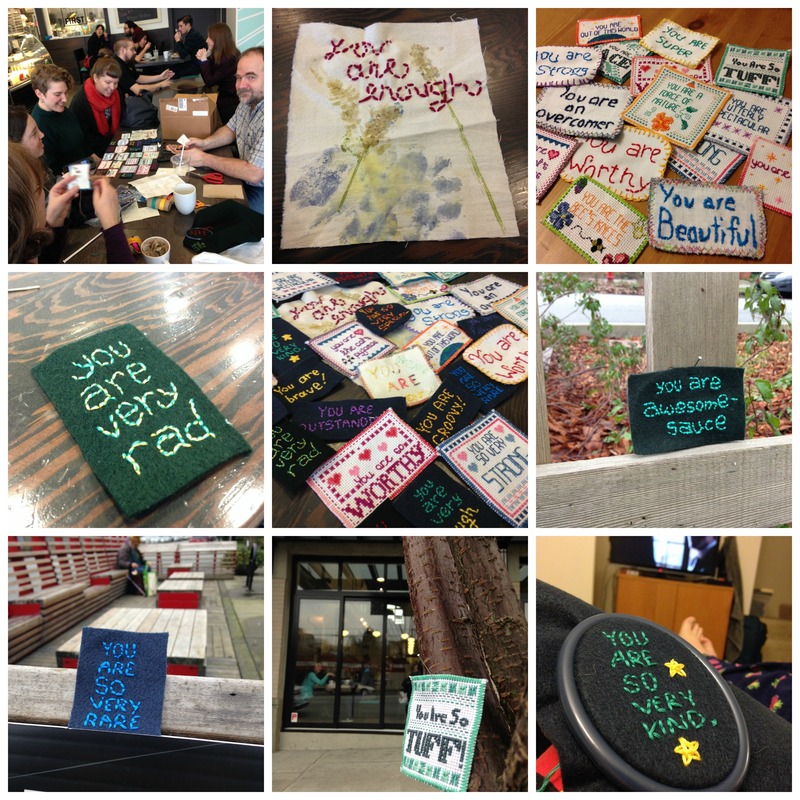 Friends who joined us also each left with handfuls of affirmations to distribute where they saw fit. Betsy is keeping the project on-going if you still want to get involved. I am also considering running another Vancouver edition next year.